Ironmonger Row Baths, which was originally constructed in 1931, has undergone an extensive refurbishment which has transformed the baths into an incredible modern facility for residents. 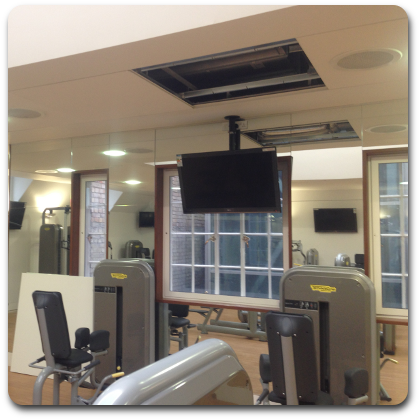 Working alongside Clarity UK Ironmonger Row Baths has been equipped with a top of the range High Definition SMATV Distribution System via High Grade Cat 6 Cables and HD Switching Matrix System allowing the distribution of High Definition Pictures, Digital Signage and CCTV pictures to 28 custom installed Televisions. After an investment from Islington Council, a transformed Ironmonger Row Baths is open to the people of Islington. Many of the buildings historical features have been lovingly restored, alongside a brand new state-of-the-art gym, group exercise, swimming, public laundry and day spa facilities including Turkish Baths.